A set of five Archangel medallions. 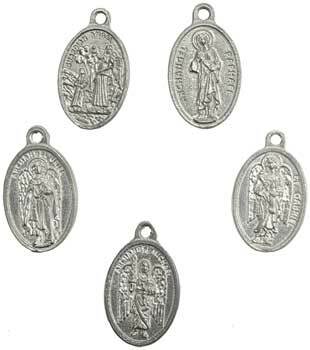 Wear one or all five when seeking the attention or protection of the Archangels. Each bears the inscription "Pray for us" on the reverse. Comes with a satin cord. Pewter. 1" x 5/8"